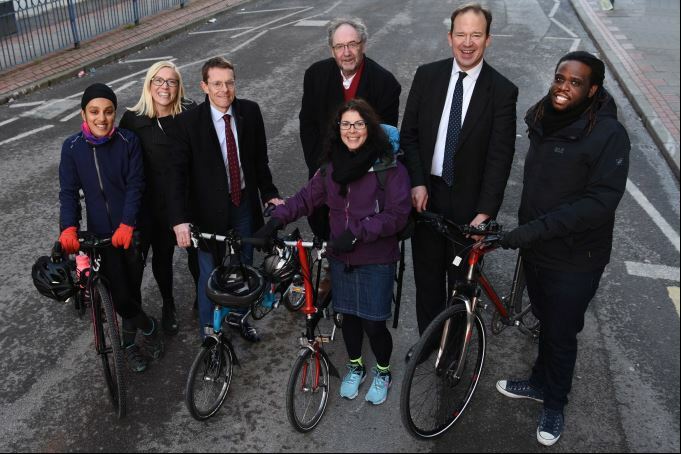 The Cycling and Walking Minister Jesse Norman said: “Getting people cycling and walking is key to improving air quality, encouraging healthy exercise, and boosting our high streets and economic productivity. Leader of Birmingham City Council, Cllr Ian Ward, added: “It's clear that we need to change the way people travel across the West Midlands, so in addition to getting more people walking and using public transport, one of our key ambitions is to see more people cycling. "In recent years we've launched innovative schemes to get people on their bikes. Through the Birmingham Cycle Revolution and initiatives like the award-winning Big Birmingham Bikes, we've focussed on education, training and of course promoting the many benefits of cycling. "But if we are going to persuade more people to make the transition from four wheels to two, people have to feel safe on their bikes and we have to look at everything from road layouts to other cycling routes across the region.